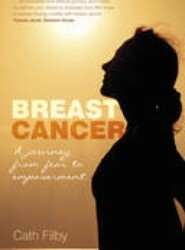 If you're unfortunate enough to get breast cancer, the first question you may ask yourself is, 'Why me?' Cath Filby asked herself the same question seven years ago when she was diagnosed. In this book, she describes each element of her treatment with a no-holds-barred approach but intersperses her story with more than a small dose of hope.